A recent study of Florida middle-schoolers found that children who are acting as caregivers at home spend nearly two hours each weekday assisting older adult family members, The Washington Post reports. These young caregivers — 62% of whom are girls and 38% of whom are boys — assist family members suffering from diseases or age-related disabilities by helping them get around, dressing them, feeding them, giving them medications and performing other tasks. 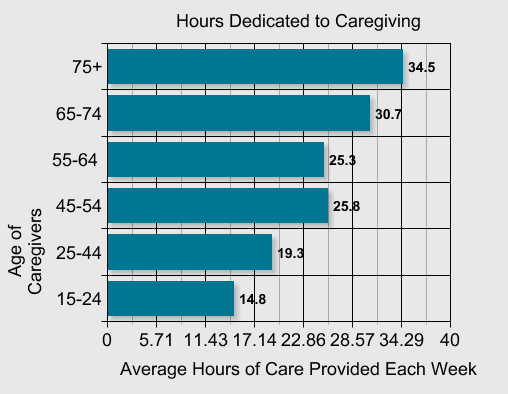 The study found that younger caregivers have reported spending a median of 2.5 hours each school day as a caregiver and four hours each day on the weekend. This trend is indicative of a much larger nationwide issue related to child caregiving, The Post writes. Children are affected by illness in the household, just as it affects others in the home. When young people are put into the role of caregiver, there can develop a role-conflict and changing dynamic in the parent-child relationship that can manifest itself in both emotional and physical ways. 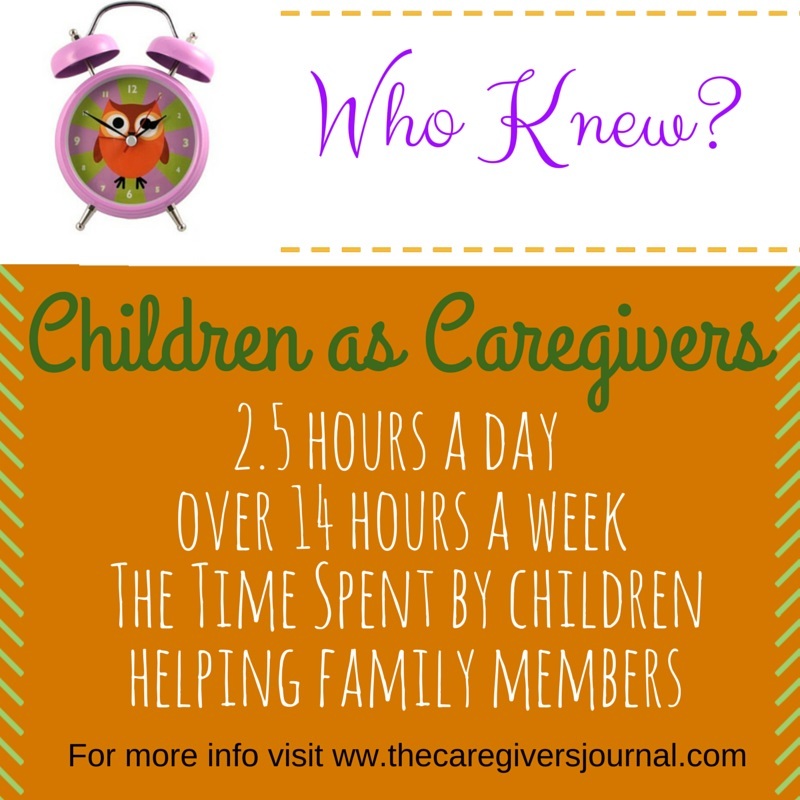 Caregiving is often provided at the expense of the children’s own schoolwork and well-being. “Our children are sacrificing their academics, their health and well-being in order to provide care,” said Connie Siskowski, a registered nurse who is the founder and president of the Boca Raton-based American Association of Caregiving Youth (AACY), the study’s sponsor. According to the AACY, caregiving youth are children and adolescents who are 18 years of age or younger and who provide significant or substantial assistance, often on a regular basis, to relatives or household members who need help because of physical or mental illness, disability, frailty associated with aging, substance misuse, or other condition. The mission of the AACY is to increase awareness about youth caregiving and foster the replication of the Caregiving Youth Project model within Florida and the US; to provide direct and indirect support services for youth caregivers and their families; and, to establish the Caregiving Youth Institute. It’s not clear how many child caregivers there are in the United States. The last time a national survey was done was in 2005 — when the National Alliance for Caregiving found at least 1.3 million children between the ages of 8 and 18 were caregivers, or more than the total of elementary and secondary school students in New York, Chicago and the District. Researchers looked at eight Palm Beach County middle schools and examined about 550 intake forms submitted to the AACY by youth caregivers, along with about 200 family intake forms completed when social workers conducted home visits with the families. To meet the criteria for screening, the children had to live in homes where there was a medical diagnosis that affected at least one adult, such as heart disease, diabetes or Alzheimer’s disease. The survey did not take into account homes where a child might be babysitting a sibling or another child, Siskowski said. Why Palm Beach County? Demographics there are in line with U.S. averages. Palm Beach County has approximately 1.4 million people, nearly 77 percent white, 19 percent black and about 20 percent Latino, which overlaps with other races. The median household income is $52,806, per census data and about 14 percent live below the poverty line. Around the United States, the population is about 78 percent white, 13 percent black and 17 percent Latino. Median household income is $53,046. And about 15 percent are below the poverty line. The Florida study follows research published by Caring.com, which suggests caregiving is also taking a toll on older caregivers. That survey found that one-third of family caregivers spend more than 30 hours per week on caregiving, making it almost the equivalent to a full-time job. Half of caregivers have made changes to their work schedule to accommodate caregiving, while 30% often arrived late or left early and 17% missed a significant amount of work. Families should communicate an understanding the effects of this situation, the grief associated with the change in the home environment, and the stress response in the child can aid in making changes in the expectations of children in this setting, and help them cope and respond in a more positive and age-appropriate manner to this unique and challenging situation. The child needs to know they are not responsible for the adult’s or sibling’s condition. Guilt plays a significant role in a child’s desire to step into the caregiving role. Resolving guilt feelings, as well as easing fear based on the “unknown,” is important but discussion of the illness or disability should not be dinner conversation every evening. 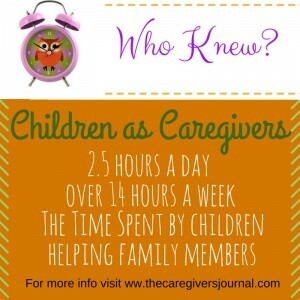 Perhaps more studies can be performed in the US to generate more interest and intervention for children caregivers. Offering services to support the children and their families can have a favorable impact on the child caregivers, including their graduation rates. Have feedback on this topic? Visit The Caregiver’s Journal Facebook Page and let us know your experiences! This entry was posted in Caregiver's News and tagged AACY, American Association of Caregiving Youth, Caregiver Resources, Connie Siskowski, National Alliance for Caregiving by Marie. Bookmark the permalink.